It seems autumn is the season of film festivals, at least in Romania. 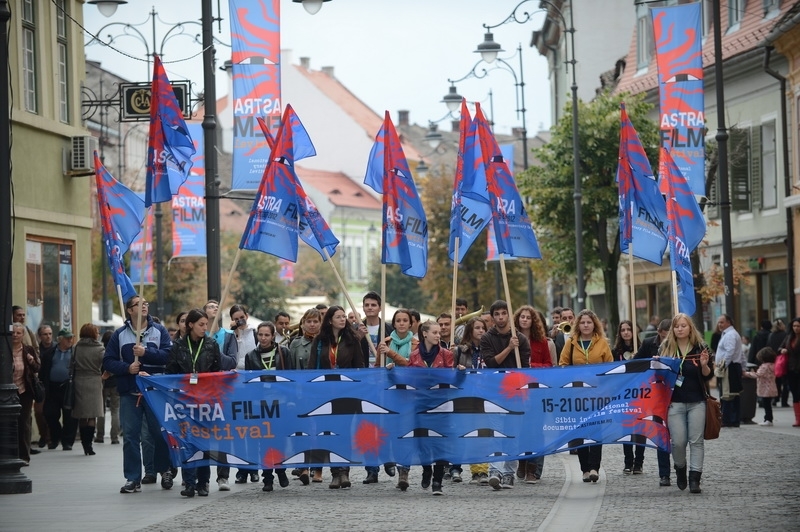 If you are up for documentaries and a picturesque small-town feel then you should hit the road today because the 'Astra Film Festival' has just started in Sibiu (running October 15-21). The initiative is one of the most important anthropological and documentary festivals in Europe and used to take place every second year. Thankfully the management decided otherwise and starting with this year it has become an annual event. Its relaxed, intimate atmosphere makes it very cozy to attend. Not to mention the legendary closing party with its epic amounts of Transylvanian sausages, plum brandy, and Balkan music, where film-goers can easily chat with directors and guests. 'Astra' focuses on Central and Eastern European productions and as such Romanian documentaries are aptly represented. The focus is less on big matters but rather on details and minority issues. The best example is the HBO-financed pic Doina groparilor/Digging for Life, which takes a deadpan look at an unlikely profession: the film follows a group of gravediggers working in the biggest East-European cemetery near Chişinău, Republic of Moldova, delivering surprisingly funny and wise insights on life, death, and a job with a routine. Another recommendation is Laura Căpăţănă-Juller's Aici... adică acolo/Here... I Mean There, which picks up on of the most pressing social issues in Romania, namely the large number of citizens working abroad and the children they leave behind. The director follows two teenage girls in rural Maramureş growing up without their parents, who have been working in Spain for more than ten years. The delicate and non-judgmental picture is a most necessary account of a collective drama happening right before everybody's eyes. Speaking of collective dramas, the escape thriller Fuga din paradis/Heavenly Run tries a bit too hard to squeeze tears from the audience but as a document of bleak times, desperate measures, and spectacular twists, it is definitely worth a watch. The film interviews a group of Romanian friends who came up with a hair-rising idea to flee the country in the 1980s and survived a series of unbelievable events until they reached their happy ending. As with every year, the focus on the Roma population is strong and Ivana Mladenovic's internationally acclaimed Turn Off the Lights is a fine take on the issue. The film looks at three former convicts facing the problems of their newly won freedom after being released from prison and shows once again the prejudice surrounding the minority as well as the conflicting traits of these men, making for a thought-provoking and moving watch. Be sure to check out Astra's official website for more detailed information on films, guests, and side events. A few trailers below and more on Astra Film's Youtube channel here. DIGGING FOR LIFE - TRAILER from Zenobia Film on Vimeo.